Liu, Xiguang, & Acheson, K. (1998). 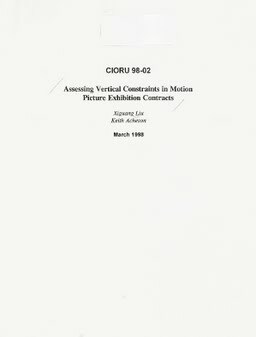 Assessing Vertical Constraints in Motion Picture Exhibition Contracts. Carleton Industrial Organization Research Unit (CIORU). Department of Economics.